Maurice Mitchell, who made his World Championships debut two weeks ago, will wear the USA jersey for the third time Saturday in England. Mitchell, the Florida State senior, Raytown South grad, and Kansas City native will compete in the Great North City Games in Newcastle Gateshead England. The event pits Great Britain and Northern Ireland against the US in a limited schedule event that will run 2.5 hours. The event will run 1-3:30pm England time which is 6 hours ahead of us. If you want to watch online you can do so here: http://www.greatrun.org/tv/ 7:00 -9:30a.m. Missouri time. Mitchell ran the second leg of the US 4×100 relay in the preliminaries before being replaced for the final-which the US failed to finish again. Mitchell will join Walter Dix in the straight 150 meter race. Dix just ran the second fastest 200 time ever for an American today in 19.53. Mitchell made his first US team in the summer of 2010 at the NACAC championships. A trio of reigning world champions and a total of nine Olympic and World Championships medalists will compete Saturday at the Great North City Games in Newcastle, England. The Great North City Games is an exhibition “street games” track meet pitting the United States versus Great Britain and Northern Ireland in select track and field events. Dwight Phillips (long jump), Jason Richardson (110-meter hurdles) and Carmelita Jeter (100m) all won gold medals at the 2011 IAAF World Championships in Daegu, South Korea, and have their names on the start list for Saturday. Phillips and Richardson will compete in their gold medal-winning events, while Jeter will compete in the 150m. Also competing for the United States are a host of 2011 World Outdoor medalists: 5000m silver medalist Bernard Lagat (1 mile), Olympic gold medalist and 2011 World Outdoor silver medalist Dawn Harper (100m hurdles), bronze medalist Danielle Carruthers (100m hurdles), 4x400m gold medalist Natasha Hastings (150m), and 100m and 200m silver medalist Walter Dix (150m), as well as 2008 Olympic bronze medalist David Oliver (110m hurdles). Richardson and Oliver will compete in likely the most competitive event at the Great City Games, as they are joined by World Outdoor bronze medalist Andy Turner of Great Britain. The Great North City Games features a unique lineup of events which include the mile, 100m hurdles, two-mile, 100m, 150m, pole vault and 110m hurdles. 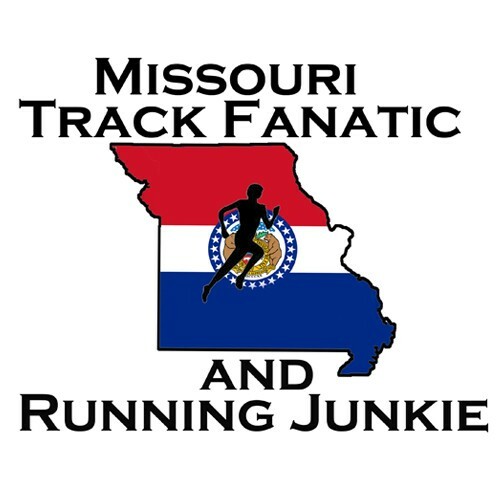 Other competitors for the United States include: Kyle Miller (mile), Donald Cowart (mile), Gabriel Anderson (mile), Mason Cathey (mile), Treniere Moser (mile), Julia Lucas (mile), Jeff See (2 mile), AJ Acosta (2 mile), Scott Bauhs (2 mile), Brian Olinger (2 mile), Omo Osaghae (100m), Jeff Porter (100m), Jeremy Hicks (long jump), Maurice Mitchell (150m) Becky Holliday (pole vault) and April Steiner Bennett (pole vault). Other top entrants from Great Britain and Northern Ireland include 5,000m world champion and 10,000m silver medalist Mo Farah (2 mile) and women’s 800m bronze medalist Jenny Meadows and 1500m silver medalist Hannah England, both of whom will run the mile in Newcastle.